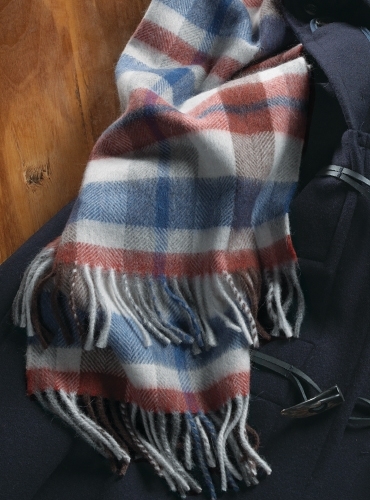 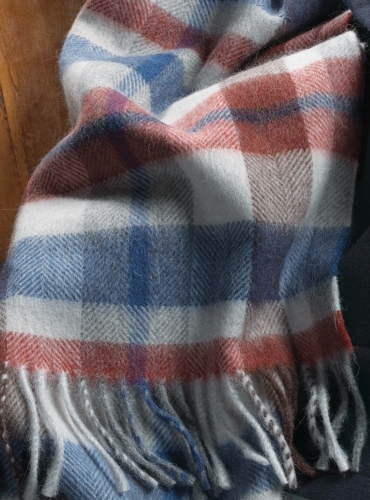 Wool and alpaca plaid scarf in royal blue, red and brown. 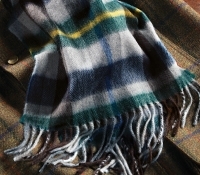 Made exclusively for us in Scotland. 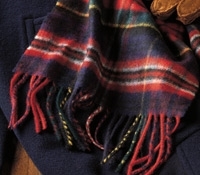 14.5" x 72.5"; 75% wool/ 25% alpaca.